OASI didn’t give a good impression on my first visit. Our party of three arrived to be told that the table had been taken (by one person) despite my host having a confirmed booking (we were only five minutes late). We had to be ushered to raised bench seating outside (luckily it was a sunny autumn day). Was this just an “off day”? Unfortunately not. Confused service and seating arrangements seemed to be the norm rather than the exception when I have dined there. On my second and most recent experience I had a confirmed table of three placed on a table built for two. Despite the numeral ‘3’ clearly appearing on the table’s reservation card the waiter took about five minutes to investigate the dilemma only to bring over a third seat and setting (despite there being roomier tables that remained empty). Luckily I didn’t mind being up close and personal with my companions (though as they were work colleagues I had to mind my P’s and Q’s). Frustration started to set in trying to order from the trance-like staff that roamed the floor avoiding eye contact. It’s all a pity, really. Booking was a breeze and a pleasant experience with an email confirmation. My companions on the second visit were also surprised by the inattention – they said that their previous experience had been the opposite. There was an exception and that was the young guy who was part of the North Sydney Cellar side of the operation. He was more than happy to lend a hand and give advice when I went to the other side of the space in search for a bottle of vino from the excellent range. Oasi is set in an industrial–style interior in an area shared with North Sydney Cellars. The bistro’s ambience complements this industrial theme with wooden benches and tables scattered about where patrons sit on polished steel chairs and stools. It’s slick and fashionable with a Parisian or San Sebastian wine bar edge to it and North Sydney needs this style of operation on its landscape. The menu reflects what you would find in a European wine bar – a mixture of grazing-style platters and bistro-style main courses. It’s the sort of sophisticated fare that is perfect for a business lunch or if you want to navigate a steady course in the evening going through a flight of wine. As an example the winter menu featured seared Ulladulla marlin with a barlotti bean puree fennel and cress ($19.50); prawn and crab spaghettini with fresh herbs, tomatoes and mild chili jam ($25.50); four different types of salads (from $9.50) and a selection of sandwiches (like a roasted Berkshire pork belly with five-hour apple butter with radish on soy and linseed ($16.50)). Then there are plates perfect for the wine bar experience: cheese taster plates or cheese cut to order (there is quite an impressive selection of cheeses on offer) and snack plates (like sweet corn fritters with bell pepper jam). On the first visit I was with two contemporaries and we started with a grazing plate of cured meats ($18.50). The rectangular white plate had three pork shavings – Spanish Monte Nevado jamon serrano, Dorsogna prosciutto and Peter G Bouchier’s ham – all served with white sourdough bread and a creamy garlic aioli. The hams were splendid choices – all with their own unique variations of flavour and texture. The exceptional aioli was delicate so not to overpower the pork slices and was a marvelous accompaniment. 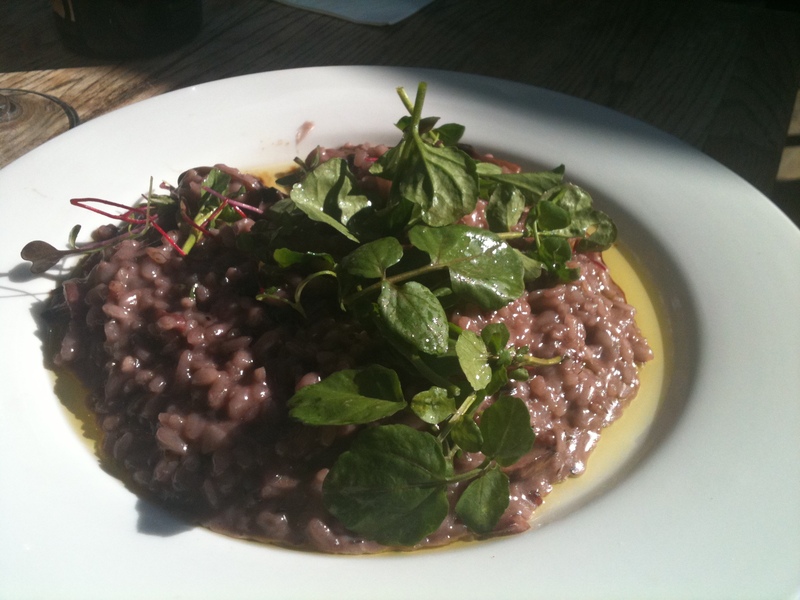 A colleague and I had the shiraz risotto with portebello mushroom, pancetta and aged balsamic ($22.50). The risotto was excellent. The rice was tender and the combination of shiraz and balsamic gave it a complex almost grungy sweet and slightly acidic robust flavour. The addition of the mushrooms and pancetta turned it into a delightful dish – a dish that would be more at home in a Piedmont ristorante than a North Sydney wine bar. One thing that was outstanding about having access to North Sydney Cellars is the range of wine and beer that is available. You can grab a bottle from the “cellar” corkage free or one recommended from the list which comes in what is labeled a ‘quartino’ a 225ml carafe to accompany a dish. The beer list was excellent – examples are Bowral’s Pigs Fly Pale Ale, the Port Macquarie Wicked Elf witbeir, and the Mountain Goat Steam Ale in the bottle. Little Creatures pale ale is on tap. 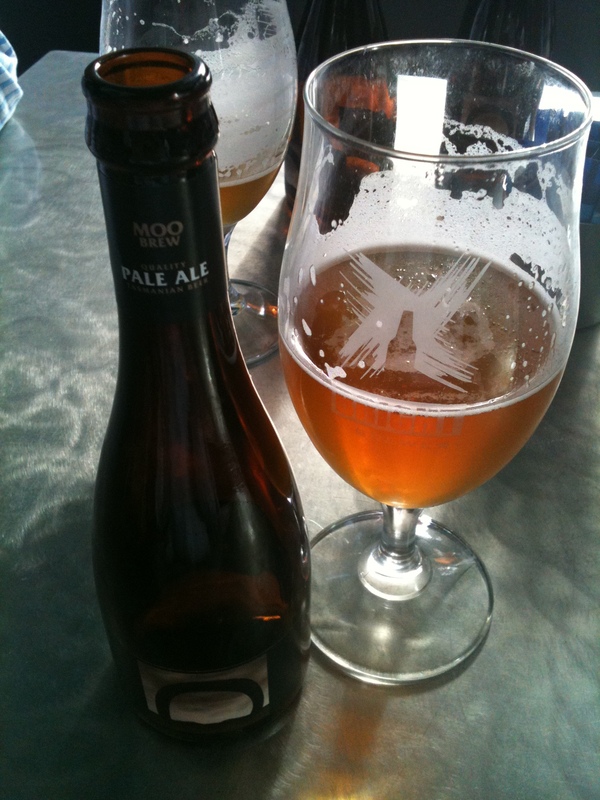 But I couldn’t believe my eyes when I saw on offer Tasmania’s Moo Brew Pale Ale ($7.50). Moo Brew is a boutique beer made in limited batches by Morilla Estates winery just on the edge of Hobart. The week before dining at Oasi I was at Morilla sinking a few of these excellent brews (its marketing slogan being: Not Suitable for Bogans). My contemporaries agreed it was the bier du jour – if you get the opportunity try it as it is a very rare drop in Sydney. On the second visit I was with my protégé (mentored so well that she got another job) and another contemporary. The protégé had the crispy snapper with lemon risotto – a medium-sized fillet sitting on top of a bed of gleaming white Arborio rice. She commented that she was pleased with the portion as it was not what she was expecting based on her past experience at Oasi (she thought her last meal there was a tad small). The protégé said she was impressed with the bold, ripe citrus flavours and the rice’s flawless texture but believed she made a fatal error of tucking into the risotto first as the fish’s crispness started to wane and get flimsy. Despite that (her fault not the kitchen’s) it was pan-fried well, not dry or flaky and by all reports, very adequate. My contemporary chose the tried and tested shiraz risotto. Again the risotto lived up to the standard it had set at the previous lunch. Nothing wrong – all good (it is a winner of a dish). 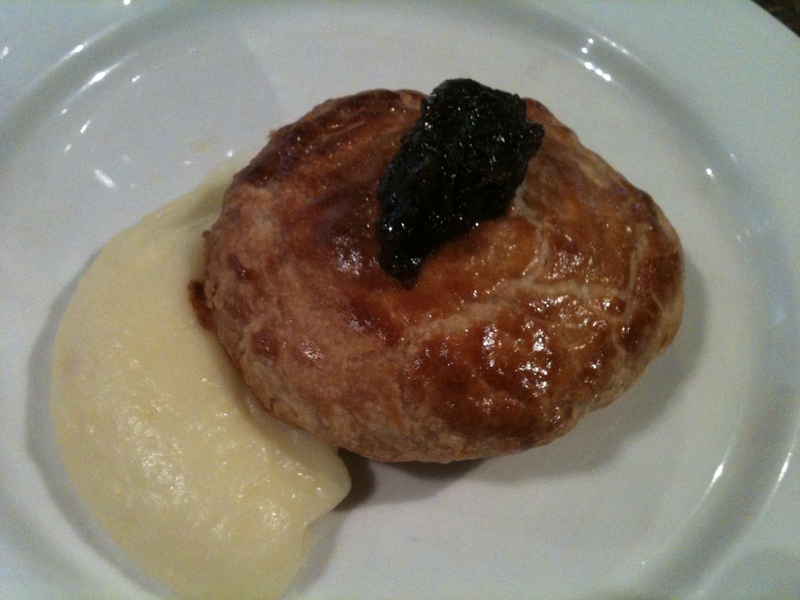 I was again tempted by the shiraz risotto but opted for the lamb and quince pie with Paris mash and red-onion jam ($18.50) (it was winter, after all). At first I thought it to be a tad small, however it’s the little things that can leave a big impression. The pie was well constructed – a nice, buttery short crust pastry containing a wonderful braise of lamb that was seasoned and sweetened by the quince. The onion reduction on top was sticky – more savoury than sweet which was a good thing as it added some contrast to the filling. The fluffy and silky soft and creamy mash was one of the best I have had for a long time. Chefs are acutely aware that one thing that can ruin their hard work in producing a memorable food experience is lacklustre or inattentive or uninterested floor staff. The Oasi kitchen need not worry about the results of their labour (the food is good) but they may wish to pass some smelling salts around the waiting staff before I dine there next time – I have a three strikes and you’re out policy when it comes to service. What: Oasi at North Sydney Cellars, 189 Miller Street, North Sydney, NSW Australia. Phone 9954 0090. The verdict: Bottle shop prices are a big plus when dining at Oasi and North Sydney Cellars has excellent range of styles from a diversity of regions (and countries). Borderline service needs improvement as it is almost a drawback from dining there (and Oasi could become the premier place to lunch in North Sydney if it improved). The kitchen saves the day – the quality of produce sourced and used is impressive as is the cooking. Ate there: 17 May and 20 June 2011. 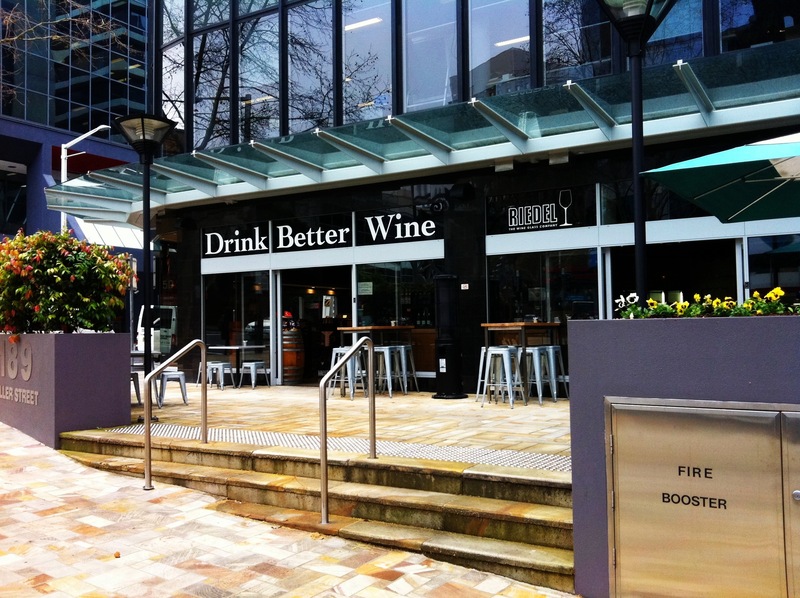 This entry was posted in New South Wales, Sydney, wine and tagged Australia, Bistro, Food, Oasi, Sydney, Wine Bar. Bookmark the permalink. By protégé you mean “A human being selected for vampirification. Often a healthy, intelligent, twenty-something adult,” right? Well, that never came to mind but it should really be protégée as that is the correct term for a female being mentored. It’s better than being called The Apprentice.